PFF offers special partnerships, promos, and coupon codes during select times throughout the year. This page includes our current offers. 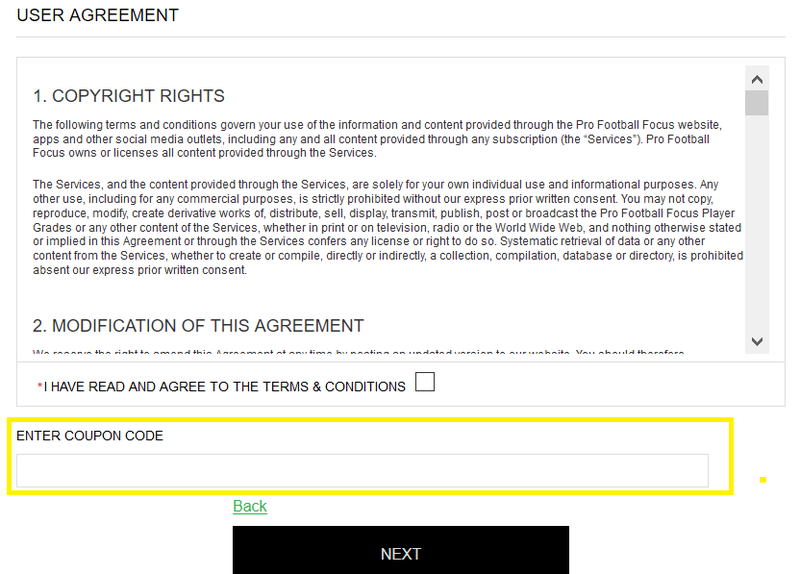 To redeem coupons on profootballfocus.com, enter your promo code in the field at checkout. All promotions are void where prohibited. Purchase total must be equal to or greater than the promo code value. When you cancel/refund item, you forgo the savings allocated to that item. Coupons and promos have no cash value and may not be redeemed for cash. Please refer to the specific promotion details for code redemption dates and expiration.